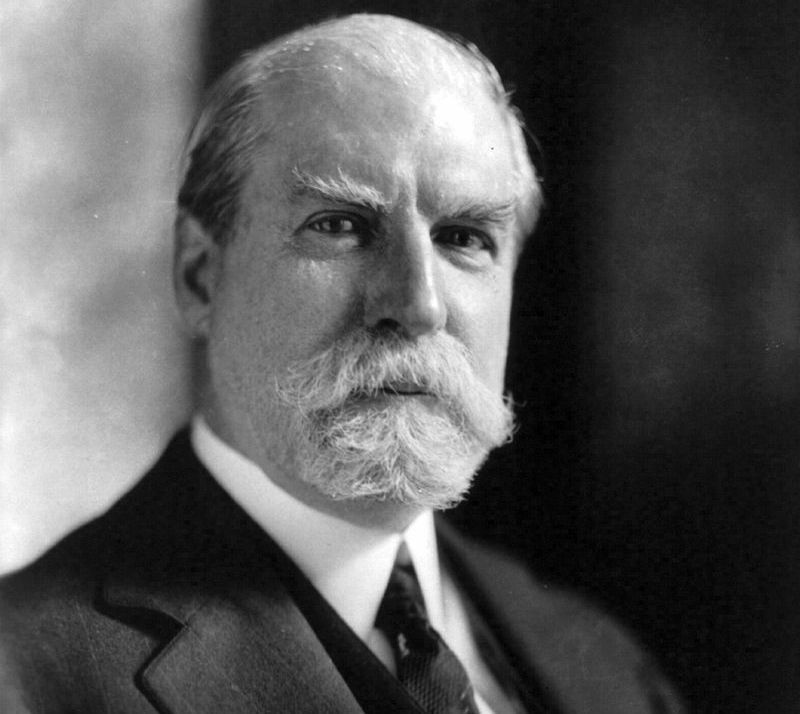 Hughes was governor of New York, associate justice of the U.S. Supreme Court (1910–1919), secretary of state (1921–1919), and chief justice of the United States (1930–1941). A distinguished representative of Republican conservatism, he was defeated by Woodrow Wilson in a 1916 bid for the White House. He squared off against another Democratic president, Franklin D. Roosevelt in 1937, when he successfully opposed FDR’s attempt to “pack” the Supreme Court by appointing new—liberal— justices to offset the conservative influence of each sitting justice over the age of 70 who refused to retire. Nevertheless, although he was a political conservative, Hughes was instrumental in Supreme Court decisions upholding important provisions of FDR’s New Deal, including the right of labor unions to collective bargaining under the National Labor Relations Act of 1935 (Wagner Act) and much of the Social Security Act.